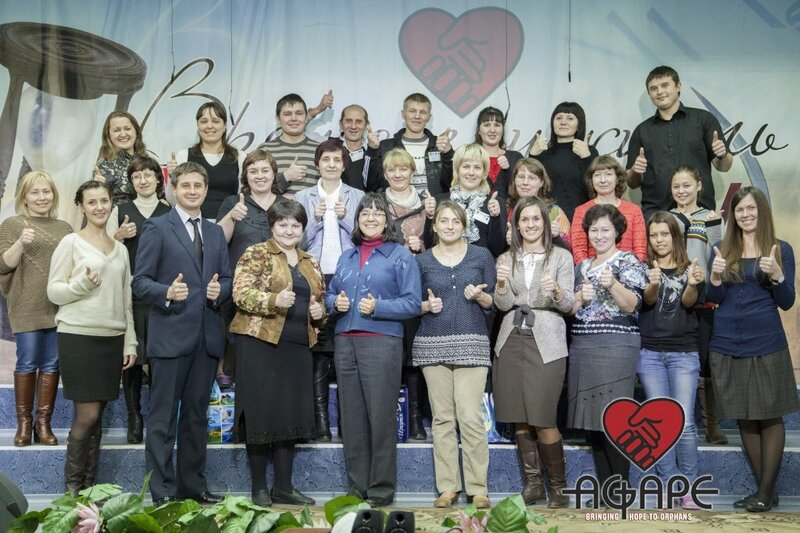 From the 18th-22nd of November 2013, close on the heels of Agape’s seminar in Volgograd, Russia, another seminar on ministry to orphans and other high-risk children was conducted in Russia. This seminar was held in ‘Blessings Church’ of Angarsk, a city in the Irkutsk Region of Russia and was a joint effort of Agape Ministries and The Emmanuel Association of Russia. The seminar attendees were from all over the Irkutsk Region, from Irkutsk and Angarsk as well as Taishet, Bratsk, Energetik and Erbogachon. The main topics addressed during the seminar were “Working with Children Who Have Suffered Trauma” and “Understanding and Changing Problematic Behaviors.” We are grateful to God for the warm reception we found there in Angarsk, as well as for His working in our lives during those few days to bring about such a feeling of openness and friendship between those who conducted the seminar and the attendees. Praise The Lord! The vision we have for Orphan Ministry is spreading amongst the churches of the former Soviet Union!